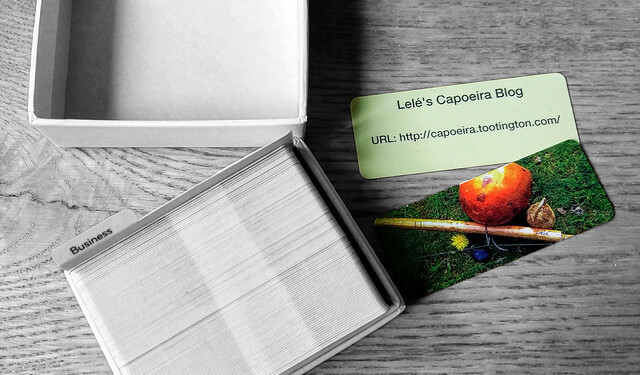 Denise suggested I should get a business card when I gave her the address of this blog scribbled on a piece of paper. And I thought, why not? So I ‘designed’ (i.e. picked a photo) and ordered from moo print, here it is! Tonight’s roda celebrated D’s and Catarina’s birthdays. Because D had to leave early her roda came first and I filmed it. Unfortunately I was low on battery and didn’t get to film Catarina’s games. She played for a loooong time!!!! 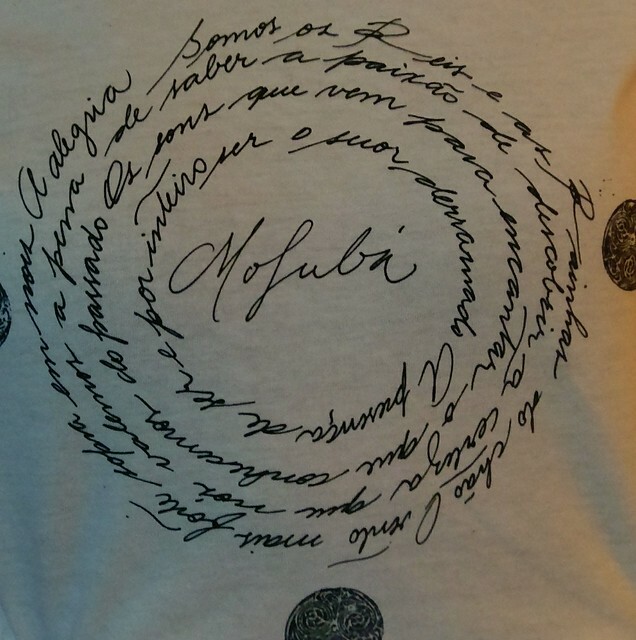 Mestre Poncianinho gave Catarina this shirt and she asked me translate it. I had to take a photo and print it out because reading it while she was wearing it proved to be impossible!